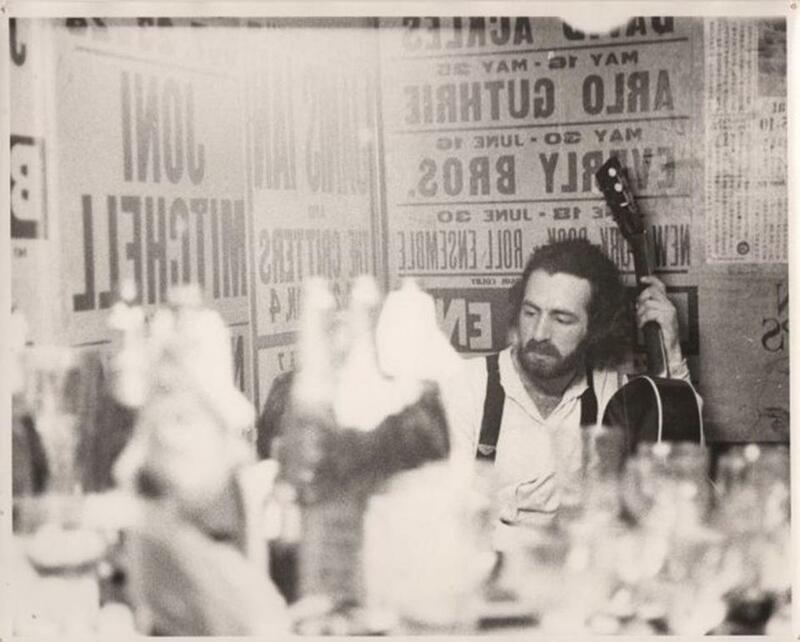 A collection of early demos from Jay Bolotin (circa 1975) will be released on Friday. When Jay Bolotin was a student at the Rhode Island School of Design almost 50 years ago, he struggled to draw from life models. “They just didn’t look quite right to me,” says the multitalented artist, whose preferred mediums include woodcuts and sculpture. So he decided, he says, to “make it up”: Tired of leaving his sketch pads blank, he created his own haunting, almost medieval version of the human image, one that has dominated his work since. A perceptive, highly literary singer-songwriter with a gorgeous finger-picking guitar style that nods to his Kentucky roots, Bolotin recorded one album in 1970. Then he spent a few years in Nashville, where he drew some heady admirers — Merle Haggard, Kris Kristofferson, Porter Wagoner. But commercial success eluded him utterly, and he eventually set his guitar aside in favor of his carving tools. On Friday, after years of digging, the specialty label Delmore Recordings releases “No One Seems to Notice That It’s Raining,” a 13-track collection of previously unreleased Bolotin demos recorded between 1970 and 1975. It’s the kind of project, like, say, the Nick Drake resurrection of some years ago, that makes us reconsider the relationship between the commerce of art and true, unmitigated artistry. During his brief time at RISD — he lasted just about a year — Bolotin built a small but devoted following as a performer, one that continues today. Local Rhode Island legend Ken Lyon, whose long career in music ranged from a teen idol phase circa 1960 through the folk revival years to the durable bar band Tombstone, met the young Bolotin at a Brown University gig and quickly helped him assemble a band and travel to New York City to record his self-titled debut. “I was dumbstruck by his talent and his music,” says Lyon, now in his 70s. “He was totally unique. His guitar work was pretty much Mississippi Delta, and he grew in virtuosity exponentially. He wound up being one of the most incredible guitar players I’ve ever know.” Lyon and his longtime musical partner Mark Taber played on every song of Bolotin’s debut album, and they appear on one track, “Message to a Snowman,” on the new collection. Speaking on the phone from his home, Lyon says he’s looking at a piece of art hanging on his wall, a woodblock test print from a series Bolotin called “The Hidden Boy,” which the Museum of Modern Art in New York would eventually acquire. Asked to compare his friend to a fellow musician — Leonard Cohen often gets mentioned — Lyon suggests a few old polymaths instead: a couple of big shots named Leonardo da Vinci and William Blake. “I just don’t know any modern person, or I’d be hard-pressed to think of one, that had such a range,” Lyon says. Bolotin is, unsurprisingly, a little more circumspect. After dropping out of RISD, he stood by as his debut album sank without a trace. (Shelved by a major label, it came out on an obscure imprint that went belly-up in a matter of weeks.) Next he moved to Keene, N.H., where he spent a winter living alone at a defunct boys’ camp. “It was time outside of time,” he recalls. “It was a line of demarcation for me. The tone of my songs changed considerably when I was there.” He often found himself performing on the camp’s makeshift outdoor stage to an audience of squirrels. Despite such tantalizing connections, Bolotin has spent little time wondering why his “career” in music ultimately didn’t amount to more. Delmore Recordings founder Mark Linn searched high and low for the tapes on the new release, finding some — like the one he uncovered in the basement of a Nashville recording engineer who’d been admitted to a nursing home — that Bolotin had forgotten about altogether. His multi-part animated film project, “The Jackleg Testament,” has screened in galleries and art museums across the country. A few years ago he began a working correspondence with Ilan Stavans, the Mexican-American writer and editor who teaches at Amherst College. They both have Jewish heritage.